Feet are sensitive little energy fields, as any fan of acupressure or reflexology will tell you. A bout of hiccups? Try rubbing your second toe, just under the toenail. Insomnia? Press the point under your big toe joint. But even if ancient medicine isn’t your thing, you have to admit that feet are full of feeling, and our Easy Heel Colorblock Socks touch on all the good spots! These easy-as-pie socks do an ingenious job of avoiding the potentially difficult heel- and gusset-shaping of traditional patterns. Here, you knit the whole leg and foot as a tube, stopping along the way for a couple of scrap-yarn half-rows, which you later pick up in order to knit the heel in the round… Amazing for first-time sock knitters, and anyone else who likes a simple trick! And it’s even knitter’s choice whether you’re a top-down (cuff-to-toe) or bottom-up (toe-to-cuff) kind of person. Our Easy Heel Colorblock Socks Pattern has instructions for both directions and for both kids and adults! Any route you choose to knit these socks, they’re a wonderfully soft and beautiful treat for your feet. 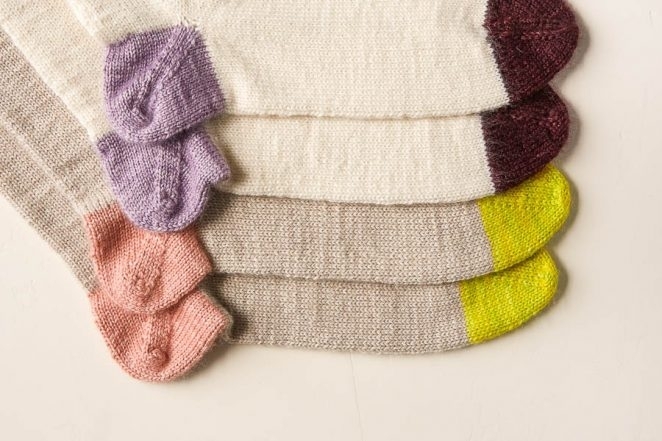 We knit them up in our new hand-dyed, machine washable Posy and Pocket Posy, 75% superwash merino (for stretch and warmth), 15% cashmere (for utter coziness) and 10% nylon (for durability). Available in 18 extraordinary colors, put just the right feeling in all the right places! 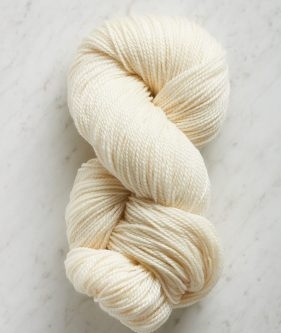 Main Color: 1 (1, 1, 1, 1 or 2) skein(s) of Purl Soho’s Posy, 75% superwash merino, 15% cashmere, and 10% nylon. NOTE: Two skeins for largest size only required if making socks for men’s size 12 or larger shoe. 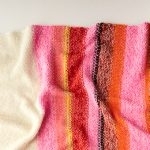 Color A (Cuff): 1 (1, 2, 2, 2) skein(s) of Purl Soho’s Pocket Posy. NOTE: You may only need one skein for size 8. It’s close! 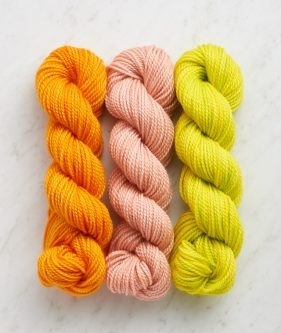 NOTE: For Colors A, B, and C, try our 3-Skein Pocket Posy Bundle. 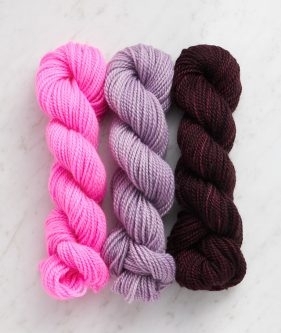 (Remember to pick up an extra single skein of Color A for the largest sizes!). SAMPLES: Both pairs pictured here are size 7 inches. 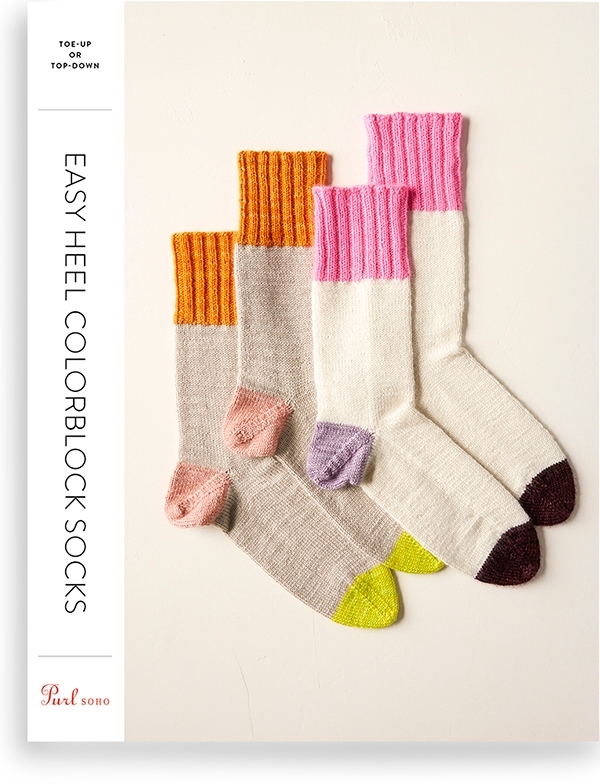 Our Easy Heel Colorblock Sock Pattern is available for purchase as a PDF download only. 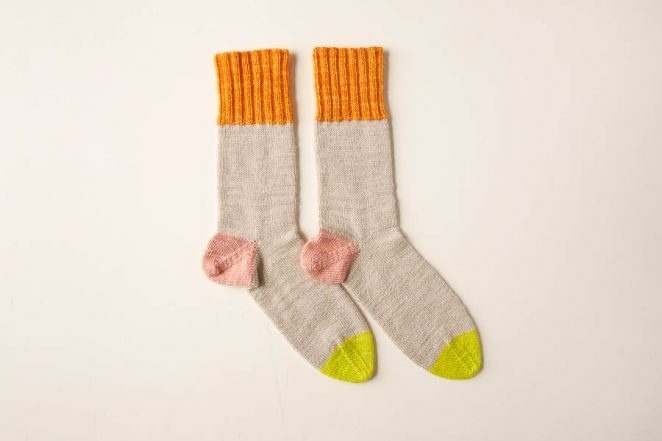 Hello, I would LOVE to make these socks or the boot socks, but I’m allergic to wool. I can do hair (alpaca) and other natural fibers, but not wool. 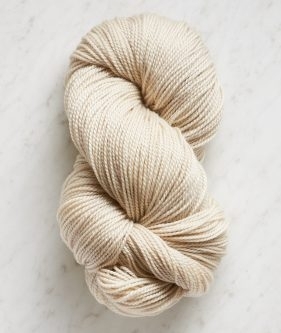 Do you have a recommendation for an alternate yarn I could use? Thanks for reaching out! Unfortunately it can be a challenge to find wool-free sock yarn since wool is durable, elastic, and breathes well, making it ideal for socks. 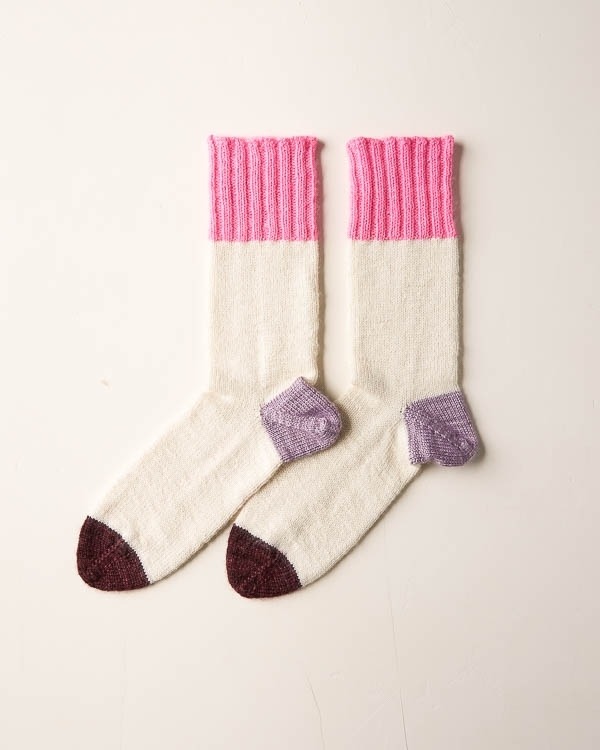 Alpaca socks would be incredibly soft and warm, but alpaca tends to stretch out over time and felts easily, so they would be more appropriate for bed or lounging socks rather than socks you can walk around in all day. You can combat these effects a bit by knitting alpaca at a tight gauge, so I would suggest trying our Season Alpaca and adjusting your needle size as necessary to match the gauge of our Easy Heel Colorblock Socks. You could do the same with Alpaca Pure for our Boot Socks pattern for extra warm and cozy socks! I would LOVE to buy ALL OF THIS…. but, my ‘left handed’ grandmother, taught a right handed me… how to ‘armpit knit’ Any suggestions??? 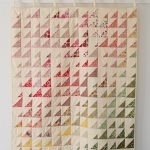 I SO, SO want to make sox! and these look amazing!! Thanks for reaching out! “Armpit knitting,” which is a very descriptive name for lever knitting or Irish Cottage knitting, can certainly be adapted to use shorter needles, though it will probably take a bit of practice to get the hang of it! If you search for “Lever knitting on double pointed needles,” you will find several videos and tutorials that will show you how to hold your right hand needle without having it stationary under your arm. 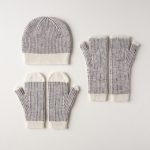 Hopefully after taking a look at this method you feel encouraged to give socks a try – they are one of my favorite things to knit! 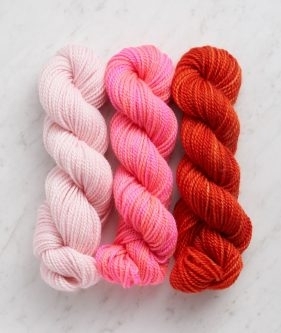 if I want to knit there socks in all one color…how many skeins of posy do I need? It would be for an adult size 8. Thanks for writing in! 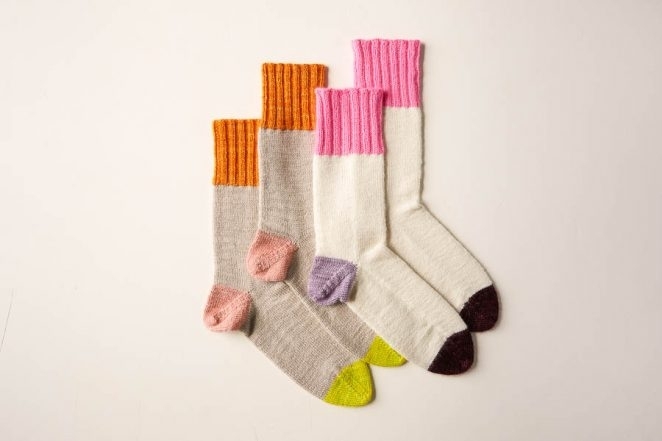 To knit size 8 socks in one color it would take about 460 yards, which would be either two full sized skeins of Posy with some yarn leftover, or one full sized skein and two skeins of Pocket Posy. I have tried to make socks, but the double needles always in the way. I have made several Christmas stockings with a seam and have had no trouble. It’s all those double needles in one spot. Thanks for reaching out! I hear you with the DPNs. Have you tried magic loop? After discovering it I can’t stop using it! Though this pattern is written with the assumption that you are using DPNs, ti can be easily adapted to use Magic Loop. hope this helps and happy knitting! I don’t quite understand the sizing on these socks. It says measure your foot circumference…..okay mine is 8 1/4 inches around my fattest part of foot. It says choose a size that is approximately 1-2 inches smaller than the circumference. Acoording to the size chart on the pattern…it says final foot length – Woman’s sizes…I wear a shoe size either 8 1/2 – 9 woman’s shoe…so I guess I would be 9 5/8 to 10 inches. Is just the length. Totally confused. What size sock would you say I should knit to fit me? Thank you for your help. Thanks for reaching out! I am happy to help! For these lovely socks, the sizes are based on your foot circumference. So your foot circumference of 8 1/4 inches, I would suggest knitting the second size (7 inches around). You will then knit the length of the foot to match your own foot. We gave basic lengths for the foot based on show size and if you are a 8.5-9, you would knit so the finished length would be between 9 5/8 and 10 inches. So in essence, the size you select, does not take you foot length into account. You will choose the length that you knit based on your shoe size! For myself, my foot is 9 inches around and I wear a size 8. I knit the third size (8 inches) and then knit to make the foot 9 5/8 inches long. I hope that this helps clear things up! P.S. We did see that you posted the same comment a few times. I want to let you know that our comments are moderated to prevent spam from posting onto the site so you may not see your comment immediately but know that we are working on it! Is it possible to use circular needles instead of DPN’s? This is a great question! If you are not a DPN fan I would recommend trying out either Magic Loop or Addi’s Flexiflips. Though this pattern is written with the assumption that you are using DPNs, ti can be easily adapted to use Magic Loop or Flexiflips. Cute socks! Now that I’ve (finally) learned Magic Loop, I’m knitting up mittens much faster. Can I use Magic Loop for this sock pattern? Thanks. Thanks for reaching out. Yes, this pattern can be easily adapted to use magic loop! I have always had trouble working with double pointed needles and have made several pairs of socks with 2 circular needles. Can this pattern be easily converted to knitting with circular needles? Thanks for reaching out! Yes, this pattern can be easily adapted to use two circular needles! This may be stupid but in the toe-up version ..it is stated “don’t slide stitches from one needle to another” what does this mean? This is a great question! This pattern is written using double pointed needles and it uses the location of your stitches on each needle to give instructions. This means that if your stitches are not divided properly the instructions will not work out. If you are knitting this pattern with magic loop you could get around this by using stitch markers where each dpn should be. 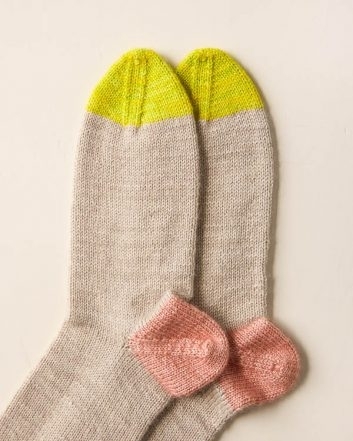 If I wanted to knit these socks with the cuff, heel and toe all one color, how many skeins of pocket posy do you think I would need? I’m either going to make them in a size 7 or 8, I’m not quite sure yet. Thanks for writing in! For the size 7, you should be fine with 2 skeins of Pocket Posy for the cuff, heels, and toes; however, for the size 8, you might need 3 skeins. It only goes over the second skein by 5 yards, so it’s possible you will still only need two. 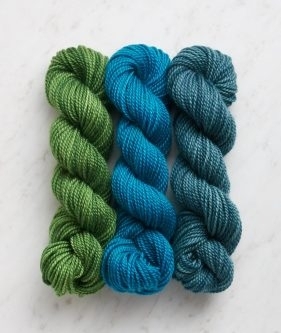 I would still recommend purchasing 3 and leaving the third skein unwound so you can return it for store credit if you don’t end up needing it. 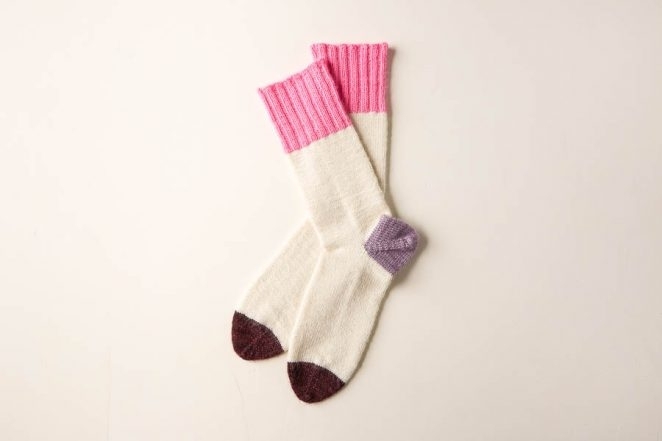 These socks but $53.00 for socks? I was hoping to make some for gifts. 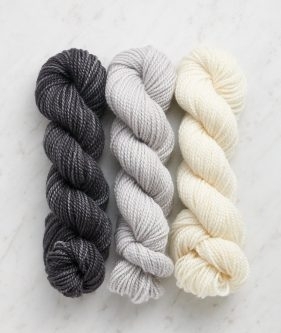 Can you suggest another cozy sock yarn that would work @25$? We hear you! We totally understand that sometimes our yarn suggestions are more of an inspiration than a reality for many people. High quality sock yarn at a lower price point can be hard to come by, but if you are willing to omit the contrast cuff, toe, and heel, you could squeeze most sizes of this sock out of a single skein of Posy! For some of the larger sizes, this will mean knitting a slightly shorter sock leg, but fortunately, since they are knitted from the toe up, you can weigh your remaining yarn to make sure that you end your first sock when you have used 45% or less of the skein by weight so that you have enough yarn left for the second sock and the heels. 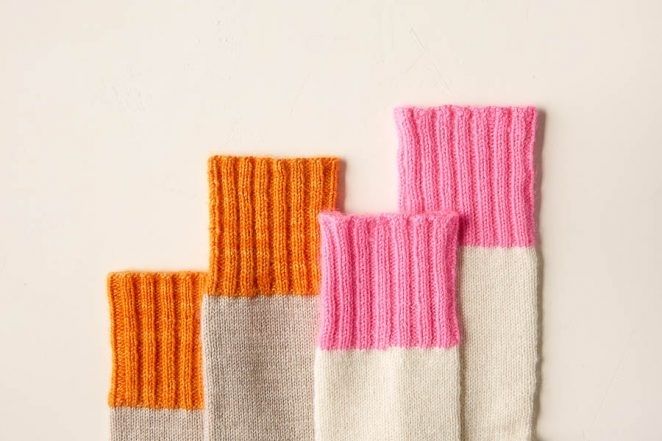 If you are making several pairs, you can still knit the contrasting cuff, heel and toe by swapping colors from each pair! I hope that helps, and happy knitting! Just bought the patten, I can’t wait to start working on my first pair of socks. I am making a sock for a male, size 10. I am totally confused about how many stitches to cast on? Is it 60 because it is the second size listed? How long should the cuff measure? Thank you for reaching out! The sizing for this pattern is very customizable, so the circumference and the length don’t necessarily match up. This means that to determine you cast on size you will measure the desired circumference and cast on for that size. The circumferences are 6, 7, 8, 9, and 10 inches. If the foot that the socks are being knitted for are not readily available I would go with the 9″ circumference for the Men’s 10. This means you will cast on 76 stitches for the top down sock. I hope this helps and let us know how it goes! Hello, I am making the toe up version, and I’m a bit confused about the heel. I’m at the easy heel set up instructions, and it says to work two rows over just half of the stitches, using scrap yarn. I’m unclear what I need to do with the other half of the stitches in the meantime? Additionally, the photos for the heel accompany the top down version, so I’m sure the toe up version doesn’t like quite the same while it’s on progress. Any insight or additional instructions you can provide? Thank you! Thanks for reaching out! While you are working the scrap yarn rows, you will simply let the rest of the stitches rest on their needle or needles with the regular yarn still attached to them. Once you are done with the scrap yarn rows, you will resume working in the round with the main yarn as if nothing had ever happened! It does seem hard to imagine since usual top down and toe up socks are drastically different, but the heel looks and is worked exactly the same for both versions of this sock. I made this pattern with some sock yarn that I had bought a long time ago. I lost the label, so I’m not exactly sure what type it is, but I think it’s a wool blend. My sock looks beautiful but it barely stretches enough to get on my foot, especially across the front. I followed the directions for sizing correctly. Do you think the yarn I used was just not a good choice for this pattern, or could there be some other issue? Thanks for reaching out! Is it possible that this is a gauge issue? I would recommend measuring your stitches per four inches on your finished sock and comparing them to our gauge of 34 stitches per four inches. If your gauge is correct, it could be that your yarn is less elastic than Posy so you will need to knit your socks one size larger to compensate. Either way, I find it very helpful to try on my socks as I go to make sure they are going to fit – more than once I’ve had to start over due to a poor fit, but was able to catch it before going too far! With an afterthought heel you won’t be able to check the exact fit of the heel or length of foot, but you can certainly slide the first few inches of the sock over the ball of your foot and instep while it is still on the needles to see if it will fit comfortably. I’m having a similar issue with the sizing. I’m using the recommended yarn and the instructions that say to choose a size 1-2in smaller than the circumference of my foot. My foot measures 8.5” circumference so I chose the size 7 and can’t get it over my foot. My gauge matches the 34 stitches/4”. Frustrating that these are so off! I’m so sorry to hear that you are having fit troubles with your socks! 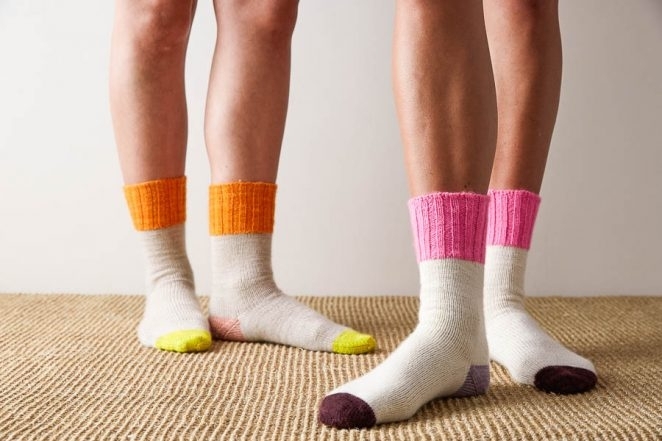 Although usually hand knitted socks are usually most comfortable when worn with about one inch of negative ease, this can depend on your personal preference and how well the knitted fabric stretches. 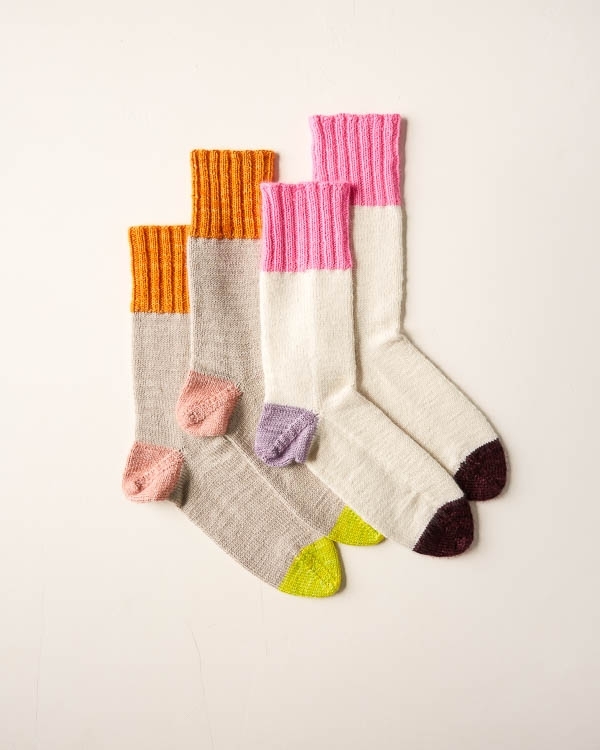 Whenever possible I would suggest trying on in-progress socks so you can catch any fit issues before you get too far! when knittig the heel, pattern states to pick up the same number of stitches on top and bottom. however, the top row of loops is only (total # of stitches/2) -1, due to them being the bottom of the stitches. Do you have a suggestion for how to evenly pick up half the stitches from top in addition to bottom of heel? I have been just picking up an extra stitch on one side with the 2 picked up stitches from between the unraveled rows, but the asymmetry is visible to my eye and I’d love a cleaner solution. thanks! Thanks for reaching out, and I apologize for the long delay in responding! It sounds like you might be past this point, but if you pick up all the stitches for the heel before you remove the waste yarn, it is possible to pick up the exact number of stitches, even from the bottom of the stitches. The bottom of the stitches actually is only a half stitch less than the the top of the stitches, so at one end of the waste yarn, there will be a small half stitch that you can include to make up the correct number of stitches; however, if you remove the waste yarn as you go or before putting the stitches on the needle, it’s very easy to lose this half stitch as it’s quite small and won’t unravel, so it will shrink back into the knitting quite quickly. For your next sock, I would suggest getting all the stitches on your needle before removing the waste yarn. If you are again short a stitch, you can use the waste yarn stitches as a guide to locate the half stitch and put it on your needle. This time around though, picking up an extra stitch is certainly an acceptable solution, and although it may look off to your experienced eye, I’m sure no one else would notice and the finished heel will feel the same on your foot either way! Thanks for reaching out! Although I’m not sure what system your library uses for their printing services, once you purchase the pattern, you can download it and either save it onto a thumb drive or email it to yourself. I’m sure a librarian could then help you print a copy! I am an experienced knitter but am finding the instructions a bit confusing at the “end” of the sock (top down version). When knitting the toe for all sizes the instructions say I will have 28 stitches, i.e. 7 stitches on each needle. Then under “all sizes” it tells me to knit to end of round, knitting stitches from needle B onto Needle A and stitches from needle D onto needle C, so that there are eight stitches on each of two needles. To me, this adds up to 16 stitches. It does not say exactly how to knit from one needle onto another. Please help. I’m practically done and would love to make the second sock. Thank you for reaching out! Are you knitting the smallest size? If so, you skip the “SIZES 7, 8, 9, AND 10 ONLY” section and go directly to “All Sizes” which will put you at 28 stitches or 7 stitches on each needle. I am confused about the LEG section. It seems that the leg length to the EASY HEEL UP SECTION is the reverse of what it should be. Maybe I am missing something, as it seems the larger sizes would have a longer length? 5 1/4 (5, 5, 4 3/4, 4 3/4)? Thanks for writing in! We did knit the larger sizes with a shorter leg so that you don’t run out of yarn for the longer foot; however, if you have extra yarn, you can knit the leg to any length you wish!